Graphic editorial design of a magazine publication for a small but incredibly passionate group of cycling and adventure die hards. 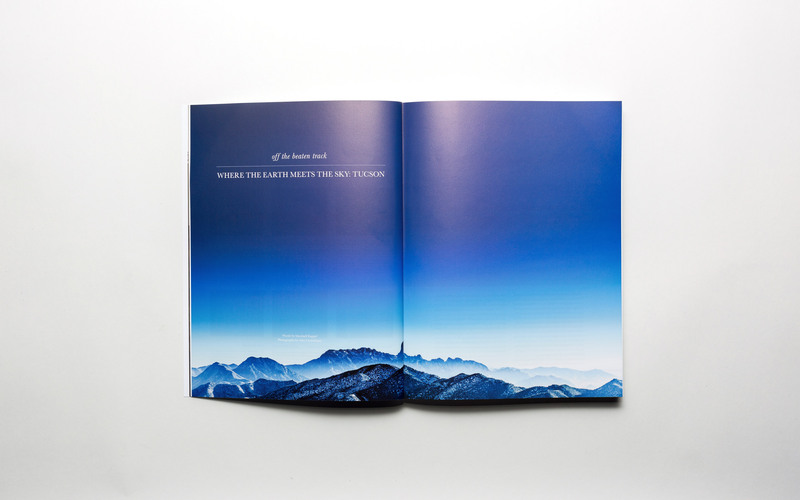 Far ride magazine, a quarterly advertisement-free publication printed in Seoul, South Korea, invited us to collaborate on the editorial design of their publication. 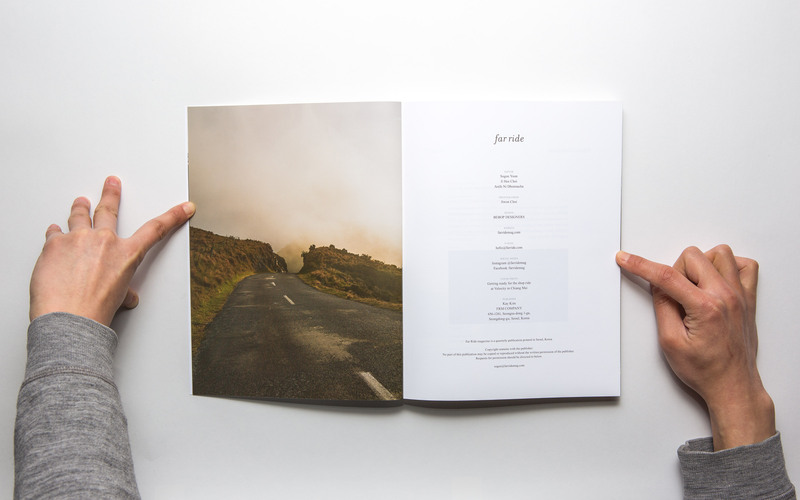 The magazine explores breath-taking journeys on two wheels, purely self-documented by a small team. 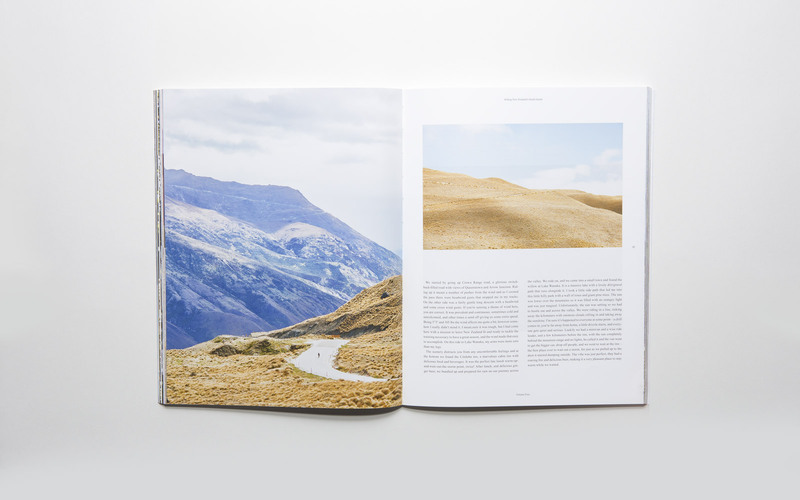 We worked with Far Ride to translate their unwavering passion for cycling and quality photography into the print medium. Looking at their catalog of magazines and brand identity, we aimed to refine their editorial style as well as the voice and style of the brand during the design process. 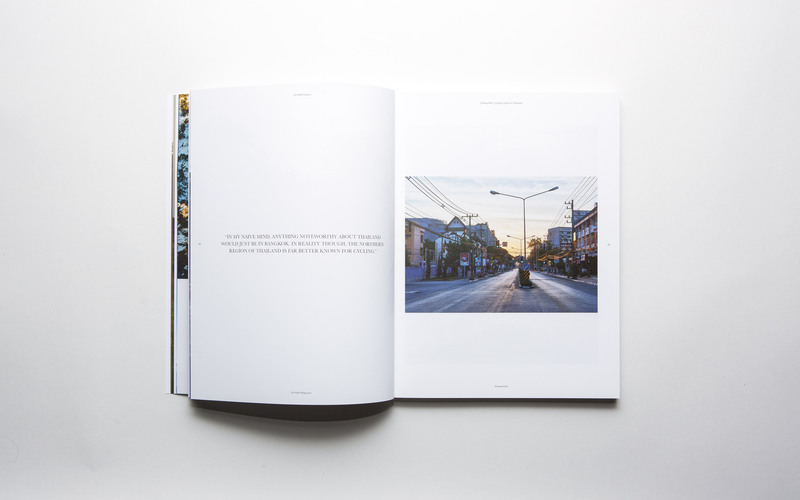 Printed on satisfyingly thick paper with seamless binding, the lengthy magazine pays the utmost respect to the high quality photography work which is the central content of the publication.